Sir Ray Davies is to vote for the first time ever in the forthcoming General Election on June 8. 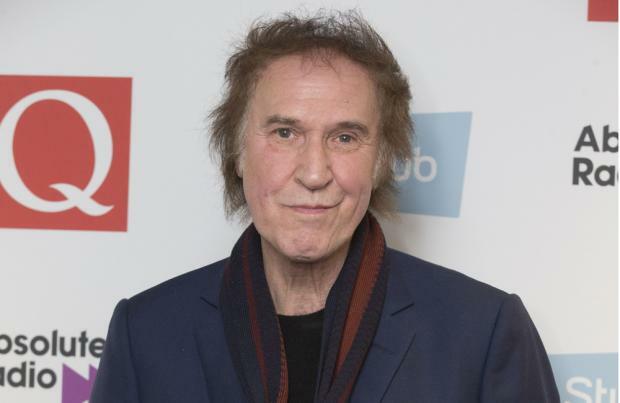 The Kinks legend has confessed he has always dodged voting for the British Prime Minster because he's always been on the road touring, be he feels now with Brexit it is a "very important" time to make a difference as he feels leaving the European Union is going to "turn the world upside down". He told BBC Radio 2: "I've always been on tour. I managed to work it that way. "Now I think I will. It's a very important time in our history. "I think it's going to be a time that we look back on as being a momentous occasion. "We're doing something that's turning the world upside down." Meanwhile, the 'You Really Got Me' hitmaker recently revealed there is a Kinks biopic in the works. The currently untitled film will be based on the popular musical 'Sunny Afternoon', which was based on the rise of the group and features a lot of their songs. According to the Daily Mail newspaper's Baz Bamigboye, Joe Penhall, who wrote the play, is to write the script for the movie, while 'Sunshine On Leith' filmmaker Dexter Fletcher has been approached to direct. Francois Ivernel, Charles de Rosen and Sonia Friedman are producing the film and are currently working on securing the story and music rights. No one has been cast in the film yet, and it is not a foregone conclusion that John Dagleish and George Maguire, who have won awards for their portrayal of the Davies brothers in 'Sunny Afternoon' will reprise their roles on the big screen. The Kinks' classic line-up featured Mick on drums and the late Pete on bass. Pete was replaced by John Dalton in 1969 while Bob Henrit took over as sticksman in 1984.